Charlene Carrington was born in Perth but has lived most of her life in Warmun Community. At high school she was inspired to start painting by Hector Jandany, her grandfather, and Queenie McKenzie who came to Warmun School to teach the children Ngarranggarni (Dreaming) stories and traditional painting methods. Charlene comes from a family of artists. Her parents, Churchill Cann and Sade Carrington, are both established artists. 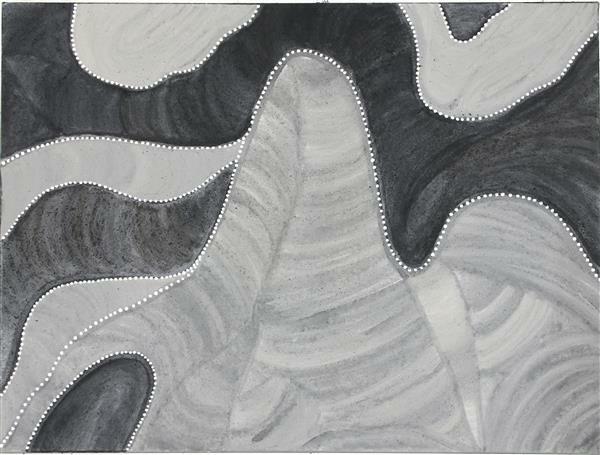 Her grandfathers are Hector Jandany and Beerbee Mungnari, who are also established Warmun artists. Her grandmother, Betty Carrington, is an established artist and the partner of renowned Warmun painter Patrick Mung Mung. When she was young Charlene sat with the old people, in particular Hector Jandany and Jack Britten, watching them paint and learning the traditional methods. 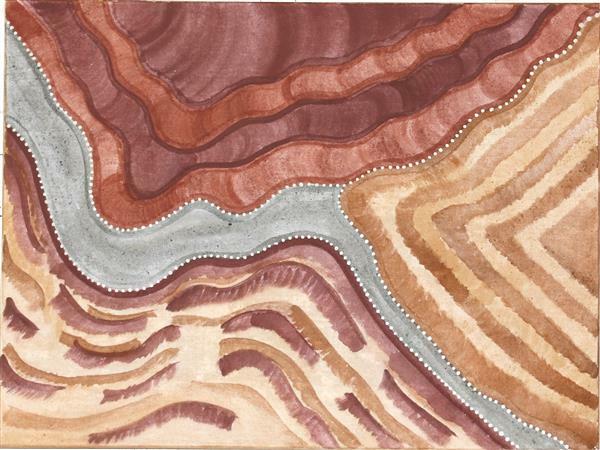 She is the only young person in the Warmun Art school who has used natural binders, garliwan, and other natural pigments such as crushed leaf extracts collected from local eucalypts to bind the ochres to canvas and board. This is the method used by Rover Thomas, Jack Britten and Hector Jandany, before acrylic binders were made available. She also uses the acrylic binders. Carrington combines caring for her young children and teaching them traditional bush ways with her career as an emerging artist.